Green Home Designers: What Does “Green” Mean? “ ‘Green’ is merely the latest buzzword for something that ecologically-minded architects have doing for their entire professional careers,” said Soellner, himself one of the leading green home designers. 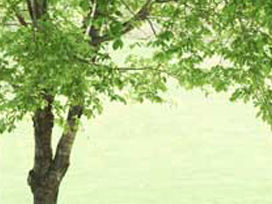 Green home designers Soellner established a Green Design Initiative. (C)Copyright 2009 Rand Soellner, All Rights Reserved Worldwide. Rand Soellner Architect has also been one of the most significant Eco-Friendly home architects for decades, with his first custom home designer assignment being built in 1975 on Sanibel Island, Florida. Rand Soellner also performed the site selection analysis, programming and concept design for the new Florida Solar Energy Center in the 1980s. “I was the Architect that programmed and conceptually designed & planned The New Florida Solar Energy Center for the University of Central Florida, Cocoa Campus,” said Soellner. “We had high hopes for solar technologies and still do. Finally, it appears that some of these components are starting to reduce in price so that more people can have financial access to them. In my opinion, photovoltaics will probably see a huge increase in popularity on homes of all types, as we see manufacturing costs fall. We even have several of our companies websites powered by solar photovoltaics, through the iMountain firm. Energy efficiency is becoming increasingly more important to the Planet and our clients.” All of this is part of Green Design and Green Home Designers and Sustainable Architecture. “Some of my clients say: ‘I want a green house,’ like they are picking a paint color. I inform them that I would be happy to do that, then we assess what they are prepared to spend up to fund that effort. Many of them seem confused, like the decision to have a sustainable house won’t cost a cent more than a conventional home and in fact, might cost less. Well, that is probably not the case right now, especially if you aspire to meet all of the EPA/DOE’s Energy Star home architects guidelines or obtain LEED Platinum Certifications. There are Life-Cycle costs that, in time will reduce your utility bills. Some of these paybacks might take 3, 5, 10 or 20 years. This must be weighed against most homeowners’ mortgage debt-service payments which is an initial capital cost that is paramount in homeowner’s minds during the design and construction phases. Combined with the cost of trying to incorporate nice mountain features, this can create a double whammy that causes many clients to re-think their green home designers direction. I do urge them to still do certain things, particularly in material choices and energy efficiency home design ratings that are better, more sustainable decisions than normal. We guide them to our policy of ‘ Going Green 4 Less .’ “ Soellner said. We prefer to incorporate these strategies into their house plans to help our Clients reap the rewards of lower energy consumption over the decades. Green design is important to our clients; they know that Green Home Designers help them and that green design helps make the planet’s resources more sustainable. And what is Going Green 4 Less ? 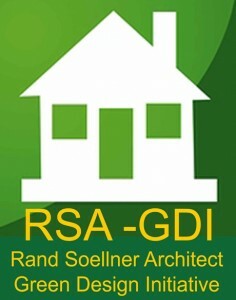 It is a unique Rand Soellner Architect policy. Soellner said: “Green home designers take note of certain ecologically sensitive choices of materials and systems. For instance, we recommend obtaining wood from FSC (Forest Stewardship Council) choices, which make a practice of nurturing forests with respect to the environment and they certify that wood products from them are in compliance with ecologically-friendly practices. The hardwood flooring we recommend comes from Siberia, has a FSC certification and actually costs significantly less that the normal heart pine that most people might choose for a nice mountain home. It looks better, too.” It is all part of designers creating green homes. What else can be done by designers? “Green home designers have a lot of ideas,” said Soellner. “Embodied energy is the amount of energy that goes into a given product/material in construction. This means that industries use much more energy and contribute more greenhouse gas emissions to our atmosphere that contribute to global warming for the resources and energy required to manufacture certain construction materials than it does others. It is surprising, the differences certain materials have. For instance, wood has a much lower embodied energy than aluminum. This makes sense, when you think about it: wood is harvested and is simply cut to shape and then slowly kiln-dried (for wood studs), and that is about it. Also, it is renewable. For manufactured metal products, the energy expended, including fossil fuel burning (and their toxic polluting gases spewing into our planet’s air) is much higher. Some of the materials must be mined, which requires much energy and also can scar the planet, then they have to be sorted and filtered and shipped to a manufacturing plant, where they must be melted in large vessels, purified, poured into forms/extrusions, cooled, cut, tested, shipped and stored. That’s a lot more trouble and energy that harvesting a tree and slicing it into beams and posts. But metals and other materials have their purposes and we can’t do without them. For instance, steel is the backbone of the World,” said Soellner. To green home designers, sustainable home architecture is important and so is structural stability. “As designers, we just need to carefully tailor what we do to what the planet and our projects really need and walk a little more softly on this Earth.” Soellner said his new residences and house plans incorporate as many energy-efficient green design features as his Clients wish to incorporate. Green home designers excel in ecologically-friendly home design. Soellner would like to make his services available all over the USA and World, including in these areas: Bryson City NC, Appalachia, Aspen, Colorado, Lake Keowee, Las Vegas, Tacoma and wherever your project is located. Social media tags: green home designers, green home architects, timber frame architects, post and beam architect, cashiers architect, highlands, atlanta, brevard, macon, newnan, orlando, denver, rocky mountains, portland, seattle, south bend, cinncinatti, dayton, fresno, las vegas, lake lure, savannah, greenville, myrtle beach, hilton head. 1. What does GREEN mean? a. Using as much turquoise and chartreuse as possible for interior design projects. b. Environmentally sensitive, energy efficient, sustainable practices. c. Growing as much lawn area as possible for each home project. a. Paybacks on most energy efficient options are typically within just a couple of months. b. Payback on energy efficient options could take 3 to 20 years, depending on the amount of power saved, depending on the option. c. Life Cycle cost in this context means: the amount of time it takes for a homeowner to recoup their added investment for energy efficient options. 3. What materials/systems have the Lowest embodied energy (the lowest amount of energy required to make them)? c. Wood studs in a typical house wall. then click here: Energy Efficient Home Lighting to go to the next level 18. 1. b., 2. b.+c., 3. c.